Public and private, urban and domestic landscape, outside and inside. 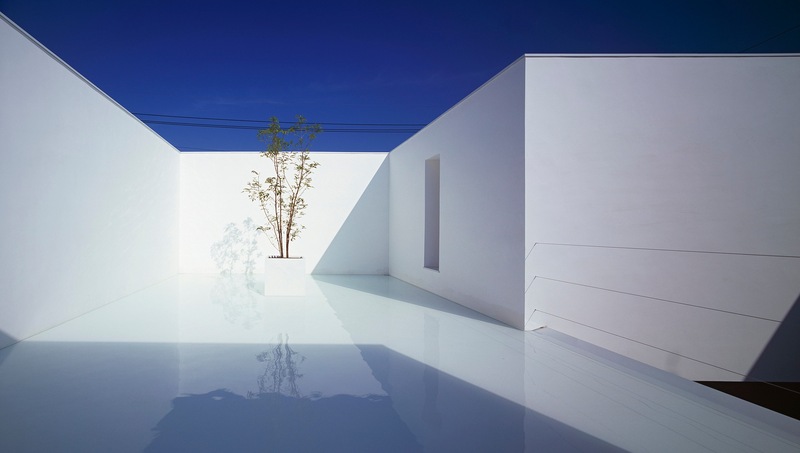 The White Cave House, a project by Takuro Yamamoto, reflects (and repairs) these schisms. An outstanding exponent of the under-50 generation of Japanese architecture, since the start of his career Yamamoto (who opened his practice in 2005 in Tokyo) has been an architect of relations, i.e. always designing and experimenting with spaces where individual everyday life opens to the world, and the defense of privacy – one of the most important and recurring concerns of Japanese contemporary architecture – never overshadows the desire to live with others. This is precisely what happens in this latest creation. Built on a 400-square-meter lot in the suburbs of the Japanese city of Kanazawa, a gem of feudal Japan, the house exploits the complexity of the site (a rather anonymous, densely inhabited peripheral area) and transforms defects into advantages thanks to unexpected solutions. Yamamoto, in fact, refrains from raising simple divider walls to banish external reality, working instead by subtraction, reducing surfaces or even eliminating them. The building is only apparently solid and compact, because a series of visually interconnected ‘voids’ create a ‘tunnel’ (hence the name ‘cave house’) that opens the dwelling to the sky and the city. But this is not a linear path. It bends in an L-shape to form a large inner courtyard that provides maximum privacy. The whole living area faces this zone, with a large glass front that perfectly coincides with the facade of the ground floor, erasing the threshold between inside and outside. The internal space extends outward seamlessly, as demonstrated by a long cantilevered shelf that ‘magically’ continues its path from the living area, extending into the courtyard through the glass. On the side towards the street, the game of full and empty parts becomes functional to create a garage area, while at the same time providing a covered space to protect the entrance of the house (in the winter this city often experiences large snowstorms). The upper level is more intimate, entirely set aside for the bedroom zone. But here too Yamamoto manages to surprise us, covering the terrace with a thin veil of water that ‘captures’ the sky, bringing it inside the house. The clouds (and the stars) become the protagonists, shifting the gaze upward, away from the disorder and decorative noise of the surrounding cityscape. Finally, the choice of total white brings an airy sense of light to the volume of the house, making it into a sort of landmark. Except in the snow, when the landscape erases the architecture.